When I was younger, my dad would delight in telling me how Napoleon, when being told of the virtues of a new General, would listen to their informed skills and attributes and then remark “That’s all well and good, but is he lucky?”. Napoleon would never promote anyone to a high rank unless they possessed a certain amount of luck, as he believed to it be a personal attribute and that it came to those who recognised opportunities and seized them. While he eventually lost, was exiled, and died of stomach cancer, it’s a story that’s stuck with me for better and worse, and one that looped endlessly when I found myself engrossed in Firaxis’ reboot of the XCOM franchise last year. Throughout my time with Enemy Unknown, my squad and decisions in the battlefield would often be guided by that mantra, and eventually I found myself dropping several members of my squad and forming an elite shell of soldiers who would then become humanity’s last stand not just because of their prowess and (sometimes) psychic powers, but because they had what so many other soldiers lacked – luck. When the chance to hit the alien oppressors was forty percent or below, those plucky troops would beat the odds, vanquish their enemies and save the planet time and again. 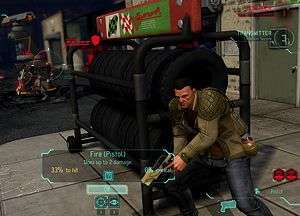 Although Generals Wii U, AssassinsCreed3 and HitmanAbsolution (I may have named my soldiers after big-budget Christmas releases) may have formed an unstoppable alien-murdering juggernaut, they’d need far more than luck if they were to survive the upcoming expansion XCOM: Enemy Within. Well, I say expansion, but it’s complicated. To those playing it on consoles, it’ll form a standalone release much akin to Rockstar’s Episodes from Liberty City, so that players can enjoy the experience and the new content separate from the original release. 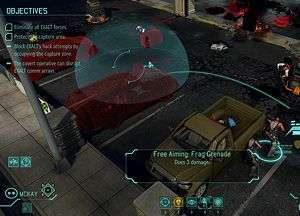 However, on PC, Enemy Within can’t work without the base game already installed, and works as an expansion to the pre-existing content, providing an array of new content that makes Enemy Unknown a new entity altogether. To demonstrate some of the new content that Within would be bringing, we were shown a short demo that took place on a dam. As the plucky new recruits stepped out of the drop-ship – the animation itself also a new addition – there was a slight chuckle from the developers as the cadets were clad in red. “I’m sure they’ll be fine”, the dev reassured us, shortly before a Sectoid and Thin Man arrived and instantly murdered the both of them, prompting a slight pause and the words “maybe not” to follow. Stronger enemies require stronger heroes to fight them with, and to this end, we were introduced to two new squad types. The first of these are genetically-modified soldiers, and their bestowed abilities are those that veteran XCOM players will be all-too happy to see. In this circumstance, one unit was genetically modded to be resistant to a Sectoid Commander’s mind-control attempts, as aptly-demonstrated when one appeared and tried to possess him, only for it to cause a feedback effect that left the human unharmed and the alien a bloody mess. The sniper was equipped with bionic legs, allowing her to jump considerable heights to access cover and terrain that no-one else possibly could, and this was demonstrated as she launched herself towards higher ground and was rewarded with a far more advantageous view of the battlefield, allowing her to pick off her enemies more effectively. 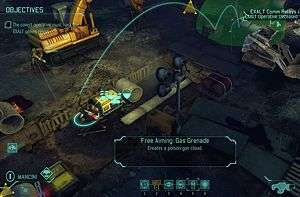 The second unit type is one that may make players salivate at the mouth, and not just because it opens up a new realm of strategic possibilities – players can now put squad members inside Mechs, and, although these can’t hide behind cover, they pack a powerful punch that makes them a valuable asset on the battlefield. For one, they come with a ‘Collateral Damage’ command, destroying any cover enemies are hiding behind – dealing any foes caught in the crossfire some slight damage – by emptying their entire clip, forcing a reload afterwards. It’s more of a supportive or set-up manoeuvre, but one that will prove invaluable during some of the more heated battles. As I would later find out when I got my hands on the upcoming expansion, you could also use Mechs to release a healing gas to all allies within radius, meaning that these units could be equally as useful in a supportive role than an all-out offensive one, even if they’re massively disadvantaged defensively. They’re even more dangerous in close-combat thanks to attached flame-throwers – although it should be kept in mind that some enemies are immune to fire – and, as we would find out in the demonstration, a kinetic strike that will make short work of anything that dares to get near, as a Muton Berserker discovered when it charged a Mech, only to find its skull caved in moments later. As the hands-off demo drew to a close, we were informed that the humans weren’t the only side to get some new additions, as the presentation ended moments after unveiling what was dubbed the Mechtoid – a Sectoid encased in a Mech not unlike the player’s squad, although it wasn’t revealed what abilities it was endowed with. With the presentation over, it was time to get my hands on with Enemy Within and see for myself just how much the dynamic has changed in this expansion. Setting off on a standard “Destroy All Aliens” mission, the first thing I noticed was that there was a timer on the screen for something called “Meld”. Questioning the devs about the timer, I learned that maps old and new will come with Meld Containers, allowing players to collect the new material, which could be used to construct new armour materials, Mechs, and enhancements to soldiers, who could also have their upgrades randomised if you found yourself unable to choose between the skills they could learn upon ranking up. However, these containers would expire several turns after being discovered, forcing players who want them to gamble between acquiring the substance and protecting their soldiers, as rushing towards this material could easily put your squad in unforeseen danger. Admittedly, those who’ve found themselves investing endless hours into Enemy Unknown might find themselves easily acclimatising to some of the new elements that Enemy Within brings, as I actually found myself easing back into the world with little effort although, admittedly, I did find myself having trouble with the Mechs. This wasn’t due to any issues with the units themselves, but as someone who plays incredibly defensively, it took me a while to get used to the fact that placing them behind cover wouldn’t give them the same defensive boost as it would regular units and, in fact, places them at a greater disadvantage as it also meant it was more difficult to target and attack enemy units. As for the regular units, I also became aware of two extra tools in their arsenal – a needle grenade and a brand new armour type. The grenade is one that actually saved the lives of several squad members within a single turn, and could prove to be a game-changer; the needle grenade doesn’t blast through cover, allowing structures to remain intact but enemies unprotected by the terrain to feel its full force. To allow players to discern whether they should use one or not, the radius will also highlight enemies in red if they’ll be affected by the needles, so you can play more strategically and not just throw and hope for the best. It also proved to be a life-saver, as I discovered when one helped wipe out three aliens in a single blast while my own soldiers remained unharmed despite being within the radius, as they were hiding behind cover. Players can now equip their units with stealth camouflage, providing them complete invisibility to enemies until they fire, and giving players another element of strategy to throw into the mix. Admittedly, I found this quite satisfying to launch a surprise attack on an unsuspecting Sectoid, but doing this meant the opposing forces had fewer targets to fire upon, leaving some of my troops slightly more exposed. As the hands-on drew to a close, I noticed two new details that helped make the experience that bit more considered. First, squad members now had more distinct voices, so it was no longer the case that everyone sounded like an American putting on an accent, but that your team sounded more multi-regional than before. Second, enemies can now retreat from battle, as I was informed when I started routing the enemy and was left worrying that I wouldn’t achieve the optimum results if I left any standing. Like Meld, it could easily lead to a case of players having to risk their allies in the name of entirely wiping out the alien hordes, with the pay-off being that their monthly report looks less appealing if they don’t. 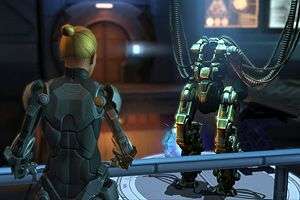 Honestly, if someone asked me what I wanted out of a sequel or expansion to XCOM: Enemy Unknown, I’d have told them “the same, but more of it”. I fell in love with Firaxis’ take on the series, so to see that they’ve not attempted to fix what wasn’t broken and instead just provided more tools to play with puts a massive smile on my face and leaves me with bated breath. Prepare yourself for the 15th of November – because Enemy Within does the seemingly-impossible – it improves strategic perfection.